That isn't a great if your marketing message spreads out to billion of more people around the globe. You can accomplish this by entering in the firewall of China. To perform the SEO and rank a website for the Chinese audience is quite a different than doing traditional SEO for the rest of the world. 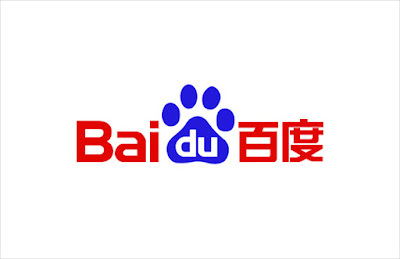 Baidu is the most powerful search engine a widely accepted inside the china, although Google is used by some Chinese people, it's not anywhere near to Baidu. Let’s dive into how to Practically implement SEO in China. 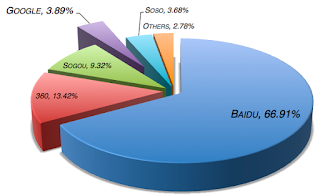 Baidu holds more than 80% of the total search engine market share in China. If you are planning to reach in China than you must need to develop a leading SEO Strategy that focuses on ranking in Baidu search engine.Of course, there are other search engines in China as well. Like 360 and Sogou are used by limited Chinese people, not near to Baidu regarding market share. So it is proved that Baidu is best and widely used search engine in China. 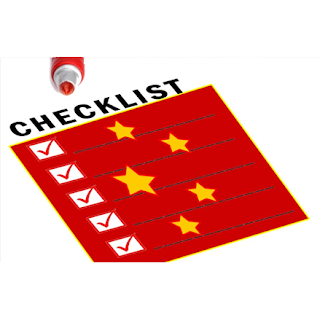 Here’s what you can do to ensure that your site ranks well in Baidu. You will need to set up the domain name that ends with .cn ( represents the country code for China). It is important if you planning to make a strong statement in China than you need to buy the right domain for the country. And this is not all about the rebranding it is the buying a new domain name that's is Baidu friendly. you can easily do it by adding .cn suffix to your existing domain name. Yes, you read it well, use only one domain, that will be your top level .CN domain. Baidu doesn't like the site with multiple domains and penalizes them. The rule here is do not make a subdomain that looks like something shop.abc.cn and hosts the shopping cart or blog at top level domain abc.cn/shop. Still, you should recognize a www subdomain and redirect it to your top-level domain. you are thinking right now you have one best hosting providers in the world which is secure and fast enough to host sites. but remember you are targeting China, you current hosting can be good for the rest of the world but not China. Bottom line is you need to buy and host on chines hosting providers too. Hong Kong is also good option to host the site, and you can easily find the customer services which are good in English. That will be easy to manage the website in Hong Kong. You are thinking this whole process sounds like consuming a lot of money, but remember you are targeting billions of people a whole new market new opportunity for your business and services. Get your own dedicated server and avoid a headache. 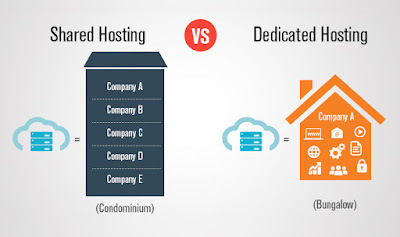 While you are spending money on hosting and new Chinese domain, you also need to buy a dedicated hosting. The reason is that because in China its not freedom of speech and government do crackdown and censor the sites which they find offensive if you are sharing a server with one of this kind of website your site also get the adverse impact and chances to high to bumped as well. So play safe and go for the dedicated server. You are Targeting China, You need a physical address for China. Chinese domain name and dedicated hosting are not enough, you also need a physical address in China to show that you are operating in the country. You don't need to rent an office and open an overseas office branch if you do that's good. Otherwise, you can hire an agent in China who can receive mail addressed on behalf of your company and forward it to you. Why, because Baidu gives big favors to business and site who has presented in its home country. You are thinking to rank high in Asia than you will need to have a Chinese mailing address.of course, it is again going to cost you bucks but keeps in mind you are targeting a billion people. stay calm and do your business don't ever try to criticise the government. things in China are different they don't have freedom of speech and criticizing the government is against the law, you can get a stiff punishment for that. China is known to censor the website whose content is against the government and find criticizing the government. And if your site comes into censorship than it will never rank again, the only thing you can do after that is just forgotten about it. So keep in mind these things when you're making content marketing efforts, avoid the politics which is also good in every part of the world. Do your business and do involve in the policy as politics is the dirty thing. you will need ICP License Internet Content Publishing (ICP) license. The government of China issue this license and give you permission for operating and running a website within the country. However, it a confusion here while you are not working in China it's hard to get the-the ICP license and to qualify for it. To undertake this problem, you can make the partnership with the Chinese company to get the permit. You want to rank in Baidu, China then you need to produce content in the Chinese language. To rank high and quickly you need to use simplified Chinese Baidu favor these characters. Baidu also indexes the traditional chines character, but it's not encouraging to use. Chinese dialects like Cantonese, Baidu Search engine, is not indexing this content as well as content in any foreign language. So you need to produce content only in simplified chines character, you need to hire some professionals who will help you to translate your content into Chinese. Title TAG: use your keyword here, as you normally do but also include your company name at the end of it. Meta Tag: Baidu rank the pages which use meta description tag. ALT TAG: Baidu favor images with an alt tag. H TAGs: the H1 tag should match the title tag, and other header tags (H2, H3) should be used to break up the content. Content: Baidu prefers simplified Chinese character, although the search engine will also index traditional Chinese character.